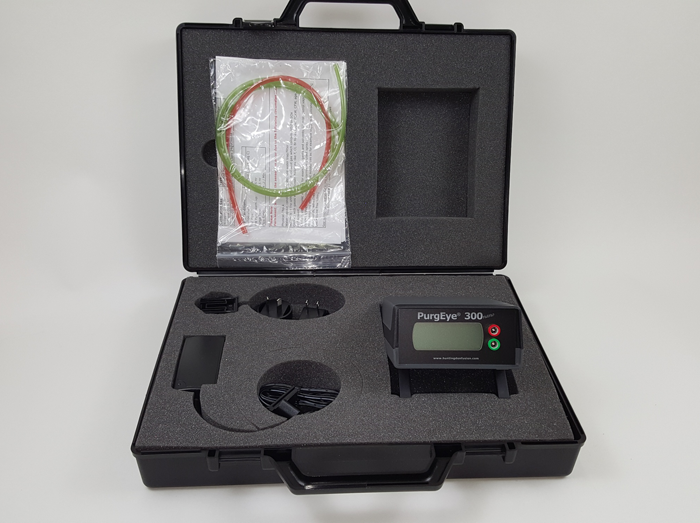 The PurgEye 300 Nano is the industry’s most affordable Weld Purge Monitor® capable of accurately reading O2 levels down to 10 Parts Per Million (PPM). This unit is specifically designed for purging applications involving ultra-high purity stainless steel, titanium, zirconium, and nickel alloy, etc. 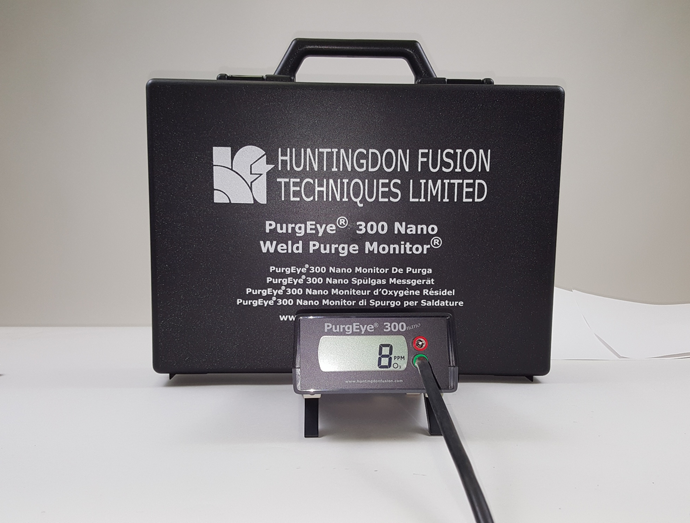 This no-frills, highly accurate monitor is a simplified version of the PurgEye 300 Weld Purge Monitor™. Low-Maintenance Sensor The Nano comes equipped with a low maintenance, long lasting integrally mounted sensor shielded against electronic interference. This long life sensor avoids the disadvantages of monitors with outdated “wet cell” technology that require frequent re-calibration and sensor replacements. This unit has no pump and no moving parts to fail. It has no knobs, no switches or controls so it is a simple, truly plug and play monitor. 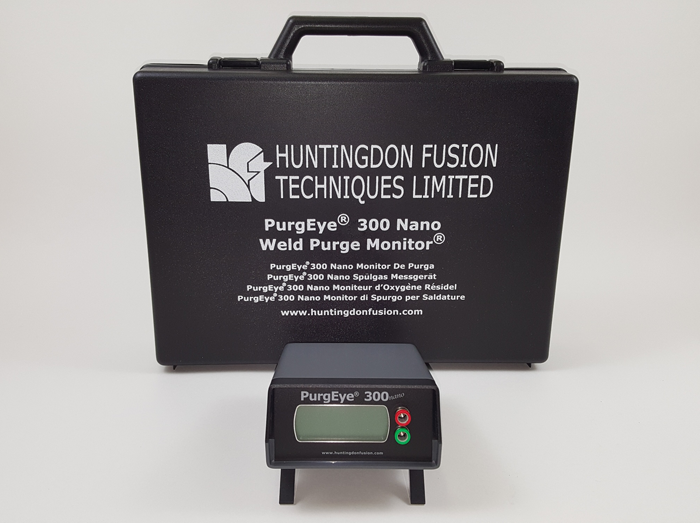 The Argweld® PurgEye 300 ‘Nano’ Weld Purge Monitor® has been specifically designed as a very low cost, basic entry level version of the Argweld® PurgEye 300 for indicating low oxygen levels in inert gas for weld purging down to 10 ppm. 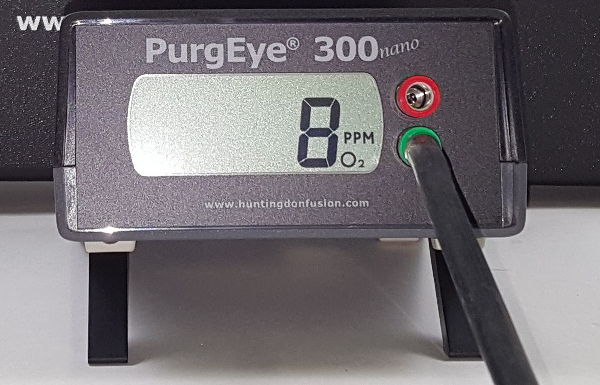 With a large alpha-numeric display, the Argweld® PurgEye 300 ‘Nano’ measures very accurately from 1000 ppm down to 10 ppm. A unique new low cost lifetime sensor is used which has very little maintenance requirement. The Argweld® PurgEye 300 ‘Nano’ avoids the disadvantages of monitors with ‘wet cell’ technology that have to be constantly calibrated and have sensors replaced. Argweld® PurgEye 300 ‘Nano’ Weld Purge Monitors® are available for immediate delivery. Specifically developed for weld purging of critical ultra-high purity stainless steel, titanium and other joints where data logging, alarms, and other features are not necessarily required. Lowest cost monitor available that is capable of accurate readings down to 10 PPM O2. Operating Voltage 115/230 V single phase 50/60Hz, the unit uses an external 12V PSU with an input voltage range of 90 to 260 Vac which is included.